Taking charge of your own independence gives a sense of self that is liberating. Consider what it takes to be autonomous like an accessible home environment and communicating openly with others to express your needs and regain control over your own health and happiness. Consider observing National Senior Independence Month in February by becoming proactive about your own well-being. 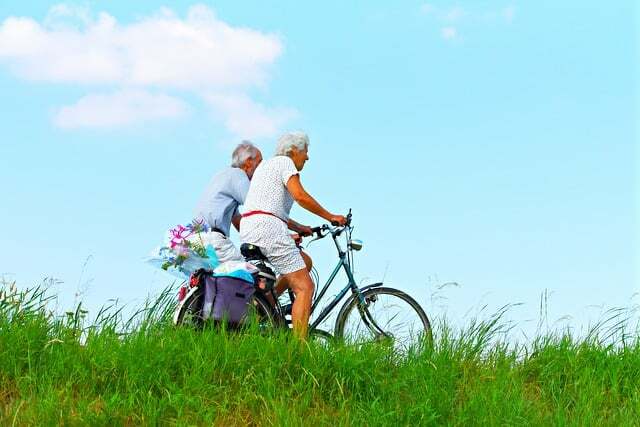 Do something to preserve your independence, whether it is seeking out a part-time caregiver, seeing medical providers regularly, or taking a closer look at mobility aids and options to improve and increase access around your home and community. Take charge of your own independence and assert autonomy. Bathe independently and safely with grab-bars around the bathroom. Assess flooring surfaces and keep them bare and clean. Get rid of rugs that could present a fall hazard. Stuck downstairs? Talk to the experts about installing a stairlift. It is far easier than you may realize. Organize goods and belongings on lower, easy-to-reach shelves and spaces. Invest in spinning lazy Susan inserts to provide added storage in lower kitchen cabinets. Buy a portable ramp for steps and risers that are a bit steeper than you are comfortable with. These can also be thrown in the back of your vehicle for other spots that may pose accessibility issues. Shower seats and bath benches can make bathing a lot safer, plus they are quite inexpensive. For greater needs and assistance, consider free-standing lifts that can help you with activities of daily living, like dressing, bathing, and transfers. We all get by with a little help from our friends, so enlisting the support of a caregiver or support is not compromising your independence. Though it may sound paradoxical, it is a smart move to take on a bit of day-to-day assistance, whether it is for errands or meal preparation. Sometimes the smallest amount of help can make a huge difference in everyday living! Is it time for you to get back behind the wheel? Mobility aids, like vehicle lifts, can help seniors with physical limitations drive independently again. The lift even helps to store itself while you drive! If driving is not feasible, research a local transportation company, like Uber or Lyft, to get where you want and need to go. Assert your wishes and needs to those around you. It can be difficult to communicate honestly and openly, especially with your children or loved ones, but it is imperative that you honestly convey your feelings. Call your family together to discuss your choices if that is easier or arrange for a one-on-one if that makes you more at ease. Remember: it is your life so make your preferences, wishes, and intentions known. Complete your living will. Forms and templates are available online. Decide who you want to be your health care proxy, in the event you can’t make your own medical decisions any longer. Complete the proxy form and have it notarized now- don’t wait. Share copies of your documents with those close to you – your family, providers, loved ones – and keep them organized for when you need them. Completing and notarizing a thorough advance directive is one of the greatest gifts that you can give to those surviving you. Take care of yourself; preserve your independence by staying well and not getting sick. Even the slightest illness or injury can have catastrophic consequences on your health and well-being. Part of this includes maintaining a lifestyle centered around eating well, staying active, and seeing your physician regularly. Regular social contact with others is also part of preserving a healthy psyche. This February, do something to observe National Senior Independence Month; it is a time set aside to remind seniors of what it takes to age in place and stay independent. Consider the acronym ‘HEALTH’ when determining your own autonomy and independence. H– have a clean bill of health by seeing your doctor regularly. E– ensure your environment is safe and healthy. A– Activity is key. Keep on moving. L– Live in the present. Enjoy the moment. T– Tirelessly seek to find joy. H– Humor really is the best medicine. Find something to laugh about each day. Keep this acronym in mind and live each day to the fullest! When you are ready to get proactive about maintaining your independence, reach out to the mobility experts at Pacific Mobility; they are in the business of creating a more accessible and comfortable lifestyle for those that they serve. Preserve your autonomy and do what you can now to ensure your independence later. Next Post Have you seen the incredibly versatile Shower Buddy?